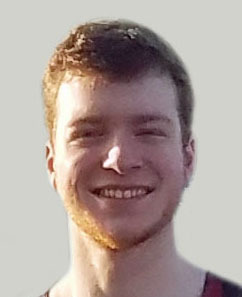 Obituary for Shaun R. Rocco | Hamp Funeral Home, Inc.
Shaun R. Rocco, age 20, of Tonawanda, died Monday, March 25, 2019. Born November 29, 1998 in Amherst, Shaun was a graduate of Tonawanda High School and was a cook at the Buffalo Tap Room in the Town of Tonawanda. He is survived by his parents, Robert J. Rocco of the Town of Tonawanda and Diane (nee Eagan) (George Brazell) Rocco of North Tonawanda; his sister, Emily L. Rocco of Tonawanda; his grandfather, Lawrence (Barbara) Eagan of Tonawanda; and his aunts, Lisa (Jim Frears) Eagan, Lorrie (Harold) Wood, and Karen (John) Hach, all of Tonawanda. Also surviving are his great-uncle, Henry (Barbara) Johnson of Tonawanda, and many cousins. Friends may call from 4-8 PM on Thursday only at the HAMP FUNERAL HOME, Inc., 37 Adam Street at Seymour, Tonawanda, where a Funeral Service will be held at 8 PM on Thursday; the Rev. Kenneth Wood officiating. Friends invited. If desired, memorials to the Mental Health Association of WNY, 999 Delaware Avenue, Buffalo, NY 14209, are preferred by the family.